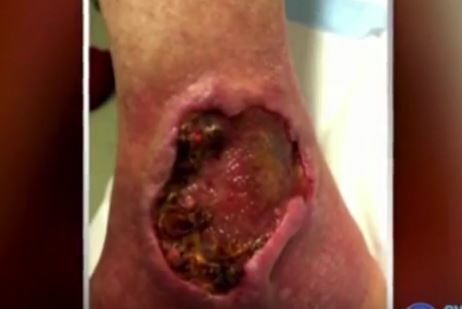 Australia is under threat from a flesh eating disease that causes open sores on it’s victims that look like the bite of a zombie. 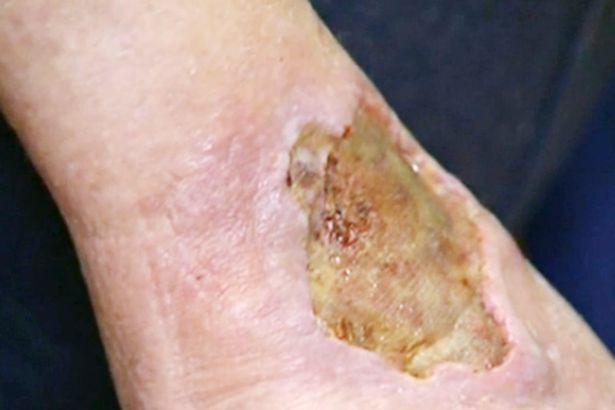 It’s called the Bairnsdale ulcer and is caused by bacteria transferred by mosquito bites that eat away at the skin and in severe cases can lead to wounds that require amputation to treat. The disease is on the rise in both Victoria and Queensland, Australia and The Mirror reports that tens of thousands of people are at risk of infection. 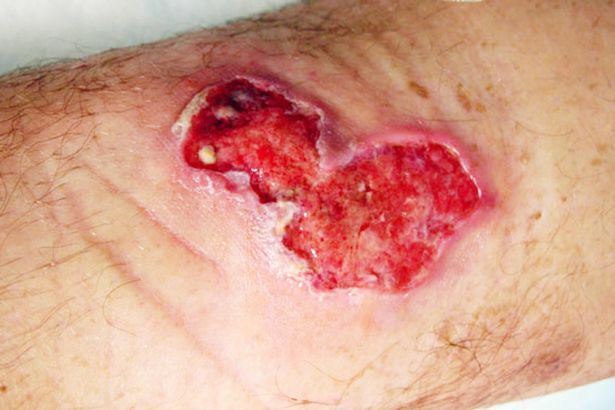 At first the wound looks like a simple mosquito bite but months afterwards it slowly grows into a ‘volcanic’ scab as the flesh begins to be eaten. It’s believed that the infection is being spread through mosquitoes, or possums after they’ve been bitten by the insect. 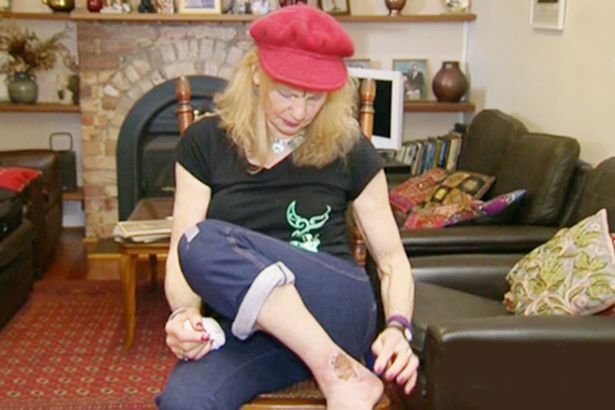 Jan Smith, caught the ulcer on her left foot while training to climb a mountain Alaska. It just kept getting bigger and bigger. It was bright red [and] like a sock full of fluid. I couldn’t sleep for the pain, my husband said ‘I want to throw up because I see your bone’. In the last three years cases of Bairnsdale ulcer have doubled as 106 cases were recorded in 2015 compared to the 65 in 2013, 45 of which were recorded this year in Victoria alone. Chief health officer for Victoria Professor Charles Guest has issued a warning saying the bug remained a “concern” in the state and that ‘everyone is susceptible to infection’. Professor Paul Johnson, an infectious diseases physician and medical researcher, has said the bug shouldn’t be ignored and that more research needs to be done to work out how the disease is being spread. We still don’t know a lot about where it’s coming from, one current theory is maybe it’s spreading in possums and somehow humans get infections indirectly. Maybe they are getting it from possums via mosquitoes. But maybe possums are just victims of it, like humans. The ulcer can get so bad that it can even affect bone if left untreated and often appears on the elbow, back, calf or ankle about four months after a mosquito bites. Thankfully the disease is easily treated but the incubation process is slow, and it’s probably transmitted while people are in tropical climates. We still don’t understand why people get it and exactly how to stop it, and how to stop it moving around. It starts as something strange and innocuous but it gradually gets bigger and looks like a small volcano on your skin. It gradually swells and hollows out and discharges. In rare cases the ulcer can cause gangrene and decomposition of body tissue leading to death.